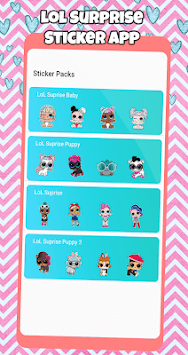 Lol Surprise Stickers For Whatsapp is a compilation of fan made stickers of your favorite lol surprise for Whatsapp ,from many stickers, enjoy sending over many Super Pets dolls surprise to your friends! •Enjoy sending your favorites Funny Dolls Stickers to your friends! Do you have a Lol Surprise stickers? 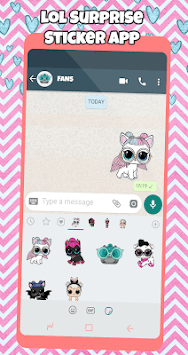 share with us ♥ for our LolStickers community sticker pack will come soon for Whatsapp!